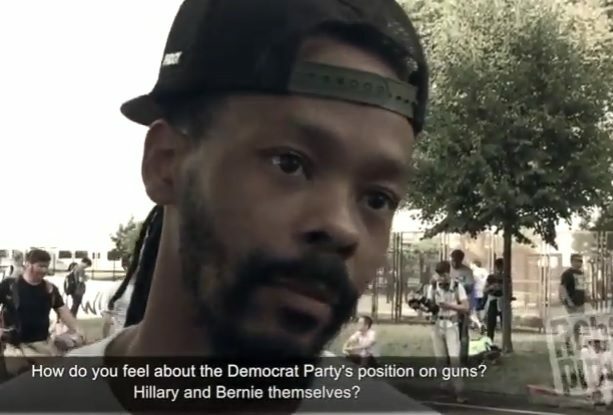 Street journalist Rebel Pundit spoke with Maj Toure, Founder of Black Guns Matter, a firearm training and education organization based in Philadelphia during the DNC Convention. Toure says, the movement against firearm owners is driven by a few elites at the top. Rebel Pundit: Does gun ownership make a community safer, you feel? Maj Toure: I don’t feel, I know. It’s not committed by card-carrying good guys and card-carrying good girls. We’re very technical people because if you do something wrong you get your hand blown off or your head blown off. Rebel Pundit: How do you feel about the Democrat Party’s position on guns? Hillary and Bernie themselves? Maj Toure: I think anybody has the right to be as foolish as they want to be. Maj argues that firearm ownership makes the community safer.